Hamburger joint. Very good food. Quick service. Small covered area where you can eat. A lot of take out. Near downtown. Need to educate the staff of what is a good costumer service. Just what I was looking for! Real easterner tasting fries. The rest of the menu looked good for carnivores, but would love to see a vegan hotdog or burger added to the menu! Great food, quick and hot. Parking around the back or on the street. CASH ONLY!... but there is a bank across the street if you forget. But- they do deliver! Best steamies in town, by far. Varied menu. Their poutine is really good as well. Excellent fries and hot dogs! 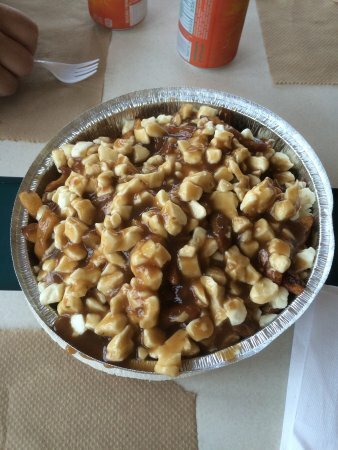 Excellent Poutine, affordable and quick! 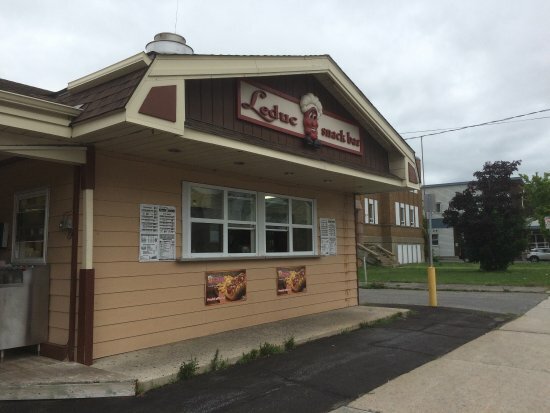 We always stop here for poutine when we are in the area. Consistently delicious, and very affordable. Great fries and Poutine. Burgers were not great but if you want a good fry! yumm Very handy on Main Street. Lots of choice. Get quick answers from Leduc Snack Bar staff and past visitors.